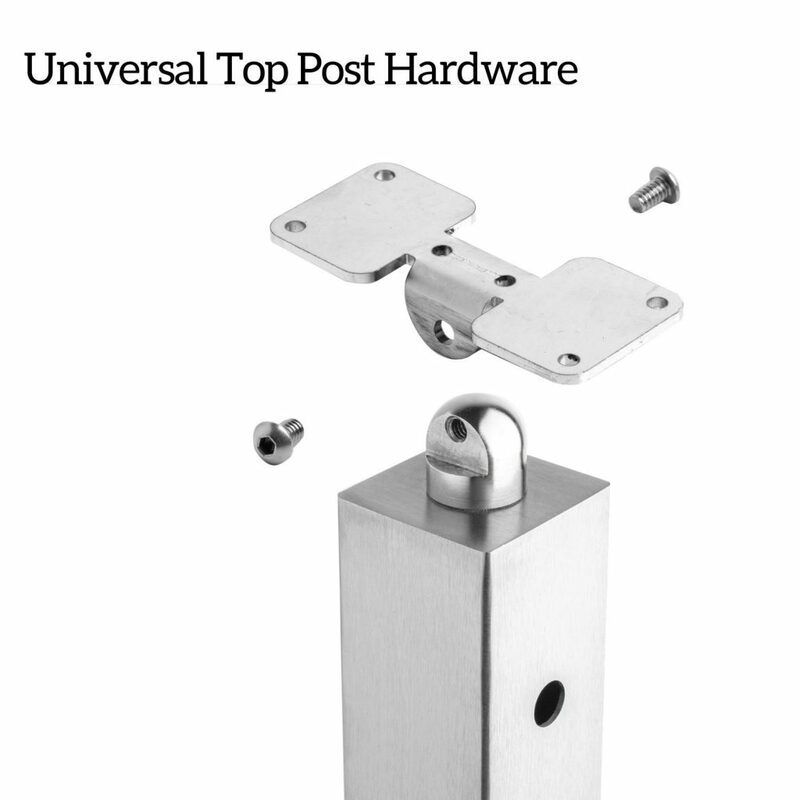 The above products are recommended for installation or mounting of the Slim Side Mount Universal Top 2" Square Post. 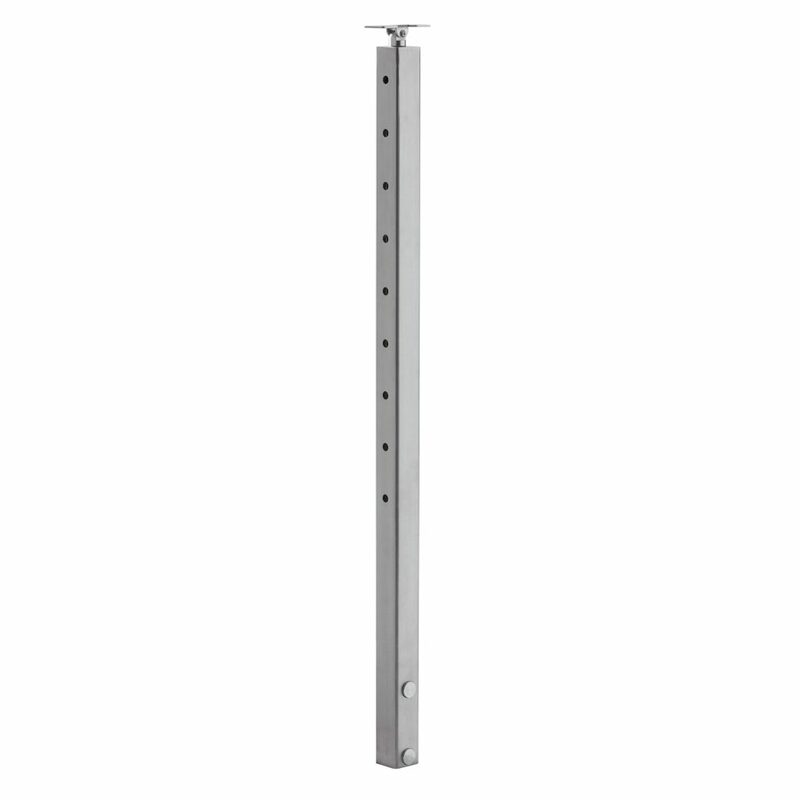 Slim Side Mount Universal Top 2″ Square Posts provide the cleanest possible look for a cable railing system. 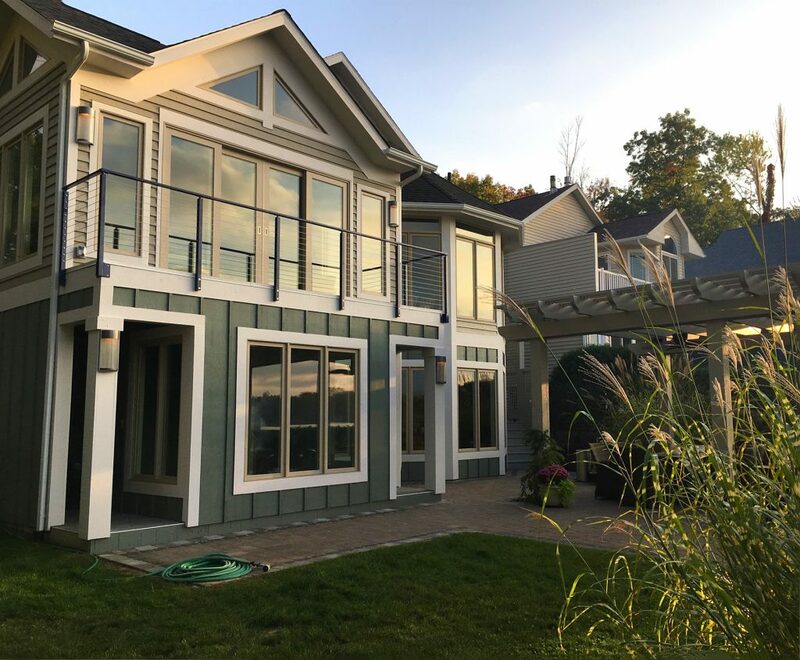 Slim Side Mount posts are fascia mounted to preserve the maximum space on your deck, stairs or balcony, and have no exposed mounting plates for a very simple installation. 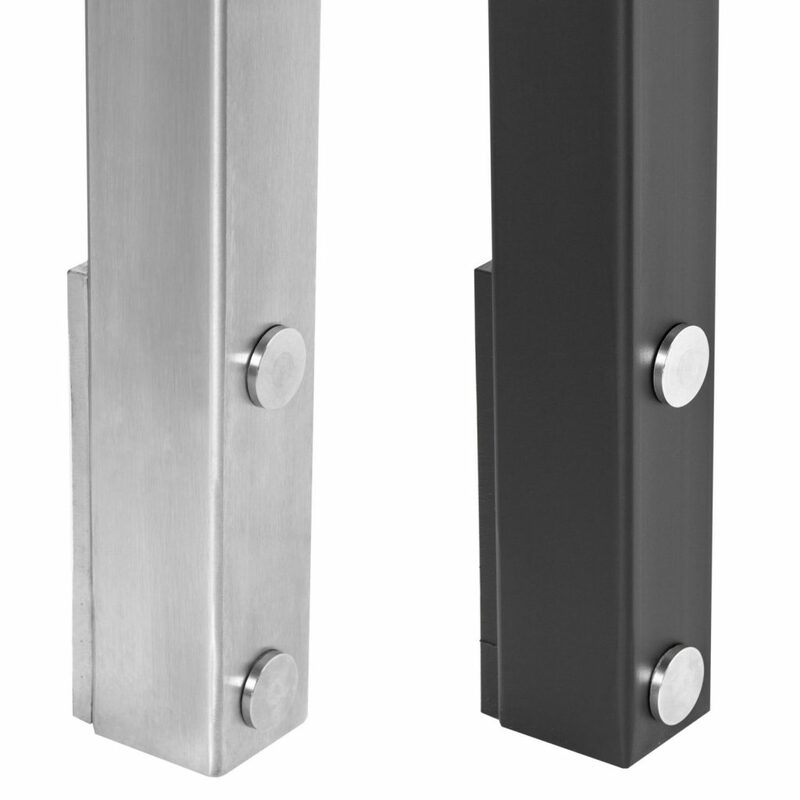 Slim Side Mount Posts come with a 3/8″ thick plate that is hidden by the post. That plate, and the backside of the post have 3/8″ holes, while the front side has 13/16″ holes that can be plugged with the included “Slim Post Plugs”. 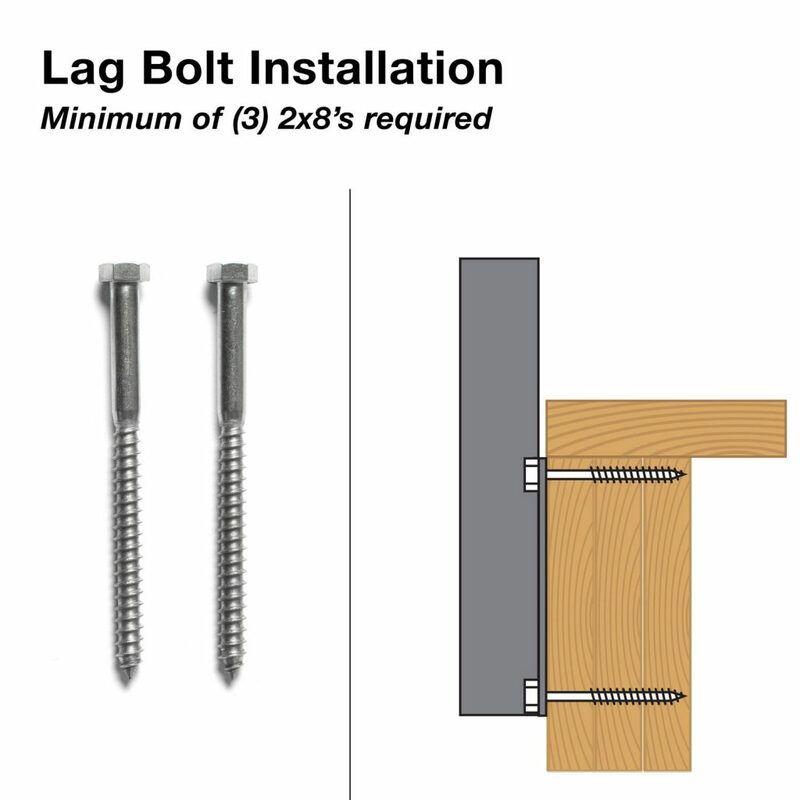 We also include mounting hardware for two types of applications, one where there are 3, 2×8’s available which is a 3/8″ x 6″ lag bolt. Alternatively we include an identical plate to the one on the post that can be used with 2, 2×8’s and the included 3/8″ x 4″ bolts, nuts & washers. 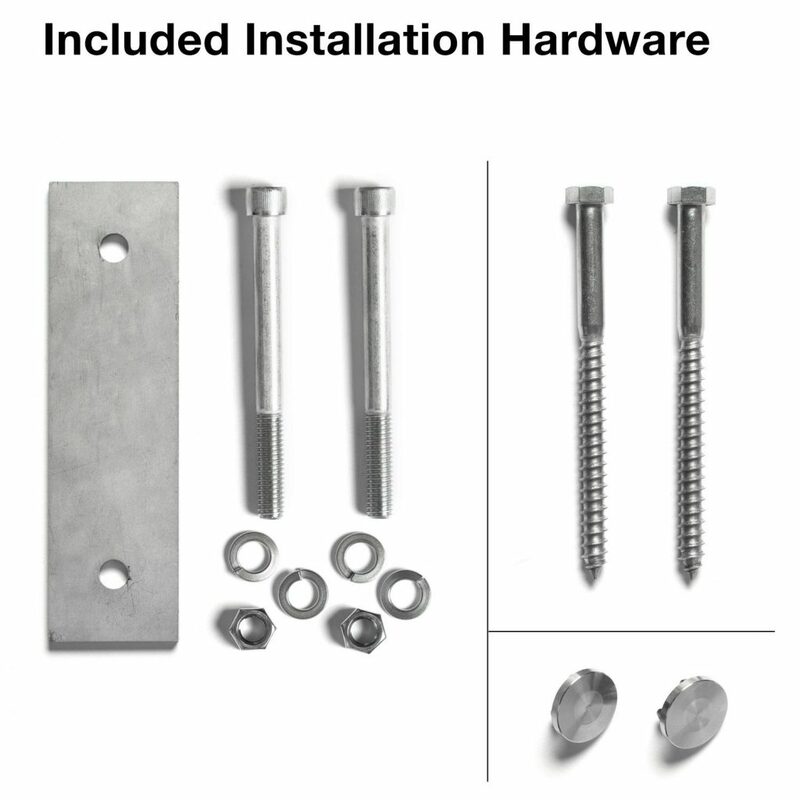 Whatever the application, we provide the necessary installation hardware. 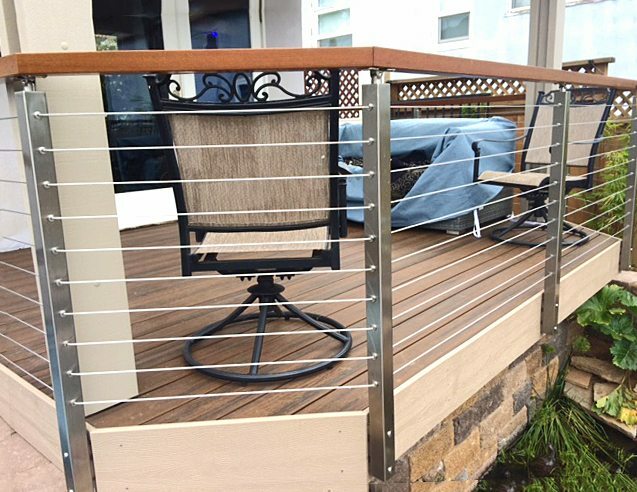 Our cable railing posts are available in multiple material types (2205 Duplex Stainless Steel & 304 Stainless Steel), and in multiple finishes (Brushed, Powder Coated Black, White, Pewter & Copper Vein). 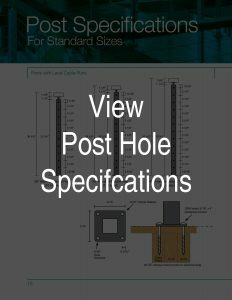 All holes are drilled with 3.125″ spacing, and we recommend putting a post at least every 4 feet to reduce deflection and ensure that you meet code. Guide to getting started with Viewrail. “B” – The “B” (Up or Down) post is designed to be a start or end post on angled stair runs. It has 1/2″ holes drilled on one side of the post, and 5/16″ holes offset and drilled on the other side of the post. Recommended fittings: “Angle Tension Kits” (36″ – 10 kits, 39″ – 11 kits, 42″ – 12 kits). The “Up” or “Down” options refer to the direction the cable will be travelling when it exits the post. “D” – The “D” cable railing post is designed to turn a corner from an angled staircase to a level balcony turning left or right. It has 1/2″ level holes on two of its faces, a 1/2″ hole holding tension for the angled run, and a 5/16″ hole on the side of the post facing the angled run. Recommended fittings: “Angle Tension Kits” (36″ – 10 kits, 39″ – 11 kits, 42″ – 12 kits) & “Level Tension Kits” (36″ – 10 kits, 39″ – 11 kits, 42″ – 12 kits). 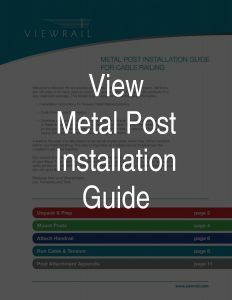 Posts are manufactured 1″ designed shorter than their defined height. This will allow you to be at the exact height with our 1″ tall metal handrail, or slightly over with our 1 5/8″ tall 6000 series handrail. The standard brackets that come with our posts are designed to work with flat bottom handrail, if you order our Round Metal Handrail 2″, we’ll automatically select rounded brackets to work with the handrail. If you have round wood handrail, or are ordering an additional post for your project please specify in the notes if you need a rounded bracket. Thank you for your question, Keith. Our definition of coastal is somewhat relative to your specific application. In order for us to accurately provide you an answer, please contact us directly as sales@stairsupplies.com or by phone at 866-226-6536. Thank you for contacting us, Zachary. Based on your situation, we would likely recommend the use of two posts to provide this transition on your staircase. Doing so will provide the type of smooth transition you are likely looking for. We would love the chance to help you with this project. If you would like our assistance, please email us the details of your project to orders@stairsupplies.com. 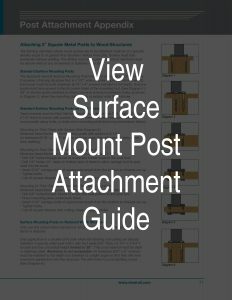 Which of the universal side mounts can I attach to a 31/2×31/2 inch post? Thank you for your question, Diane. 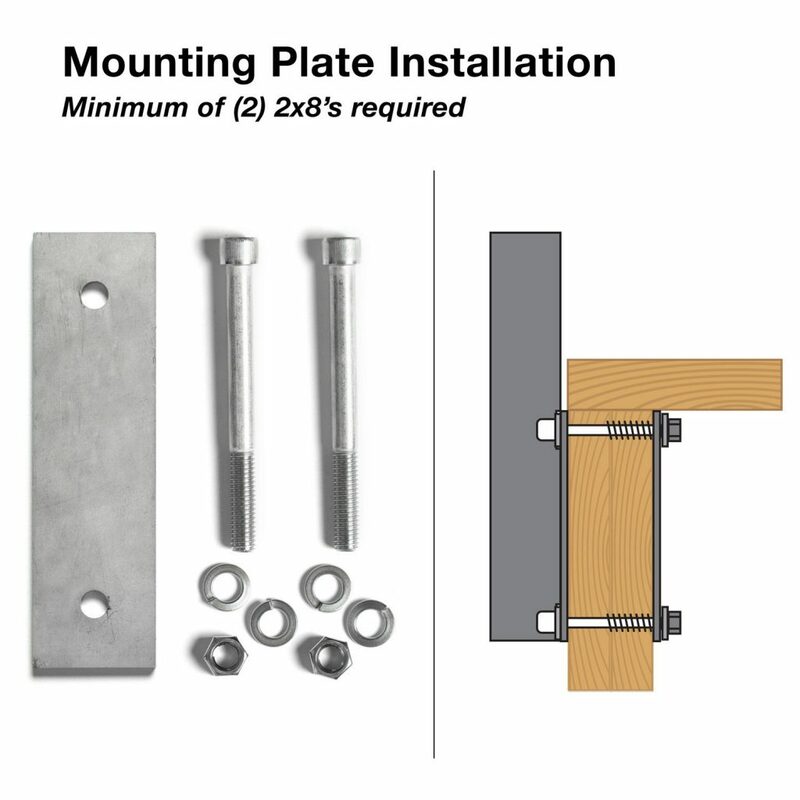 If we are understanding your question correctly, we would likely suggest the mounting plate installation option. If you are in need of further clarification, please feel free to contact us directly at orders@stairsupplies.com.